The name “Soldiers of a Wrong War” sounds harsh, but in reality has one of the most family-esque vibes of their genre. From the very beginning of the project, Italy-based Soldiers of a Wrong War felt that they were each invested in the project enough that they knew this was where they belonged. As they were writing songs for their first album, Lights & Karma, a musical connection was formed that ran deeper than they had expected. Although the writing and recording process for Countdowns went smoothly, the band firmly believes that there are still lessons to be learned from it. With this album being more rock than alternative, this studio experience was different than last time around. By constantly keeping that mindset of knowing this is where they belong and – smooth process or not – these are moments that are teaching them to be better musicians and better people. 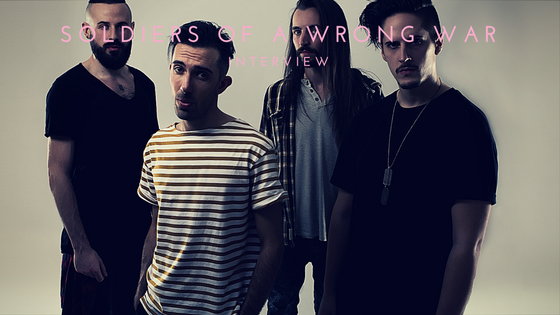 Soldiers of a Wrong War are on to something big by exploring the concept of time on their latest album. By continuing to explore and learn, it’s only a matter of time before their next big record drops.